Discounts for multiples bought together. All sales benefit Cool Planet. Raised in Morningside from seed. Not certified, but using organic methods. See details of varieties below. (Solanum lycopersicum) First listed in the 1987 SSE Yearbook by Thane Earle of Whitewater, Wisconsin. 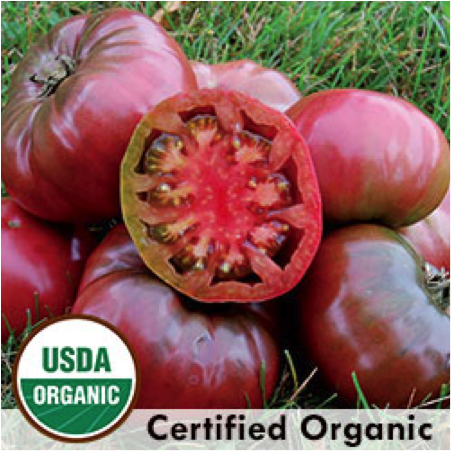 Commercialized by Tom Hauch of Heirloom Seeds, who acquired it from the Amish near Lancaster, Pennsylvania. Bright red 8-12 ounce fruits vary in shape from oxheart to rounded plum. 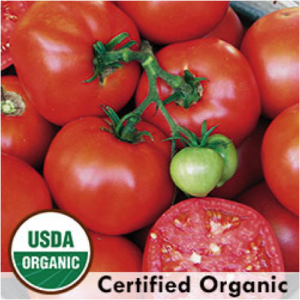 Delicious flesh is juicy and meaty, excellent for sauce or fresh eating. One of Slow Food USA’s Ark of Taste varieties. Indeterminate, 85 days from transplant. 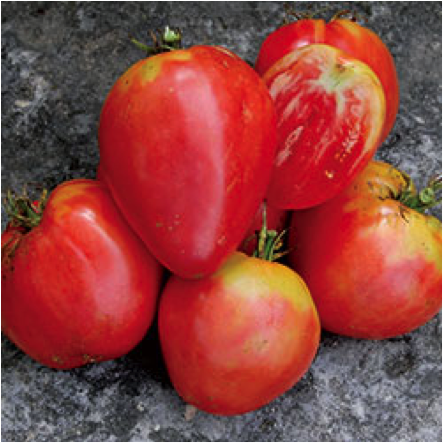 These are one of my favorite tomatoes to grow for salsa and canning. Fruits are not a consistent size and shape, but tend to be on larger size and not overly juicy. (Solanum lycopersicum) Introduced by North Carolina SSE member Craig LeHoullier in 1991 from seed obtained from J. D. Green of Tennessee. Uniquely colored dusty rose-brown fruits weigh up to 12 ounces. Delicious sweet flesh. Indeterminate, 75-90 days from transplant. New for me this year. 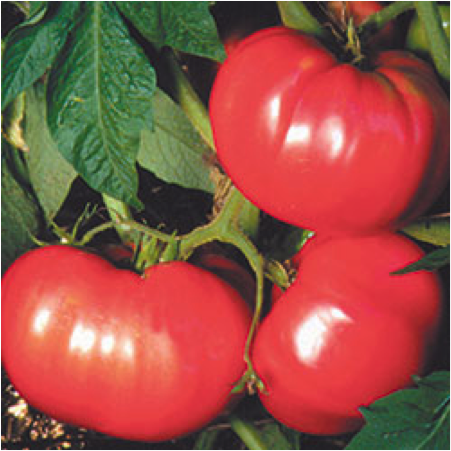 (Solanum lycopersicum) Standard early variety developed by George Sparks of Salem, New Jersey and introduced in 1900 by Johnson and Stokes. 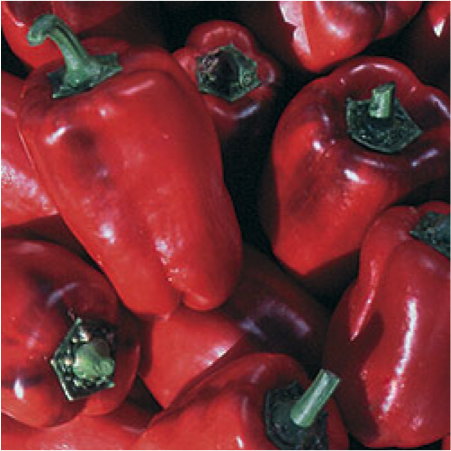 Smaller 30-36″ plants with clusters of 4-5 ounce fruits. Very good flavor. Indeterminate, 60-70 days from transplant. Earliest producers for me. Nice for fried green tomatoes. (Solanum lycopersicum) Introduced to SSE in 1991 by R. W. Richardson of New York. Original seed obtained through a swap with a West Virginia gardener. Productive plants loaded with 7″ long red paste tomatoes. Rich full flavor and few seeds. 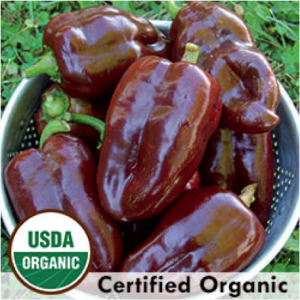 Excellent for processing, especially good for salsa. Indeterminate, 85 days from transplant. New variety for me this year, but look like the Long Toms that I love for salsa because of its dryer texture. (Solanum lycopersicum) One of the two original Bavarian heirlooms from Diane Ott Whealy’s family that started SSE. Potato leaf plants produce large 1-2 pound fruits. Meaty flesh with few seeds, very little cracking or blossom scars. Full sweet flavor. Excellent for canning, freezing and slicing. Indeterminate, 85 days from transplant. Beautiful pale pink and large fruit. (Solanum lycopersicum) Said to have originated in a village 20 miles from Budapest around 1900. 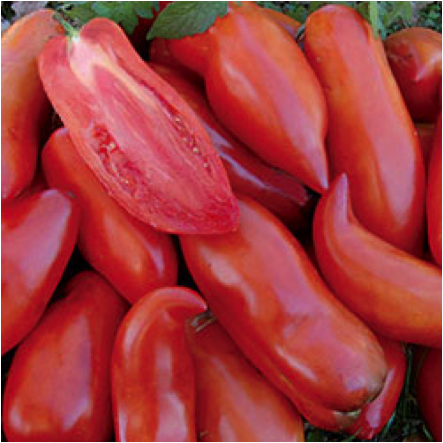 Jerry Muller of Alabama (formerly of Tennessee) was the first SSE member to offer this variety; in 1988 he listed his seed source as Ed Simon of Pennsylvania. Huge pink oxheart fruits weigh upwards of one pound. Very few seeds and almost no cracking. 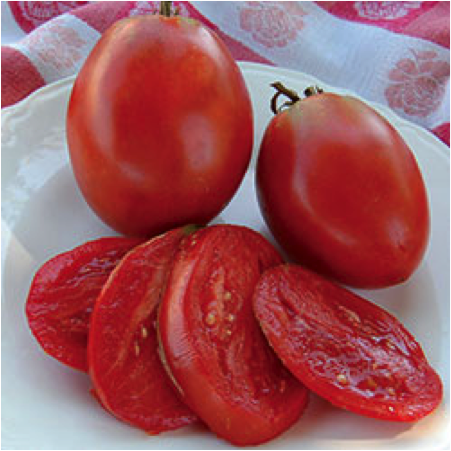 One of our favorites for fresh eating, canning, and for making roasted tomato sauce. Indeterminate, 85 days from transplant. Fun shape and large fruit. 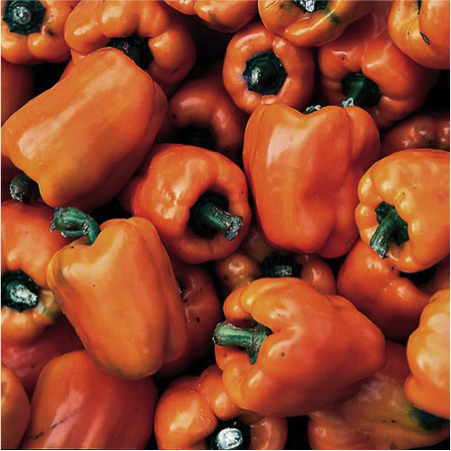 (Capsicum annuum) The best tasting orange bell pepper we have grown. Given to SSE by member Alex Heklar in 1989. 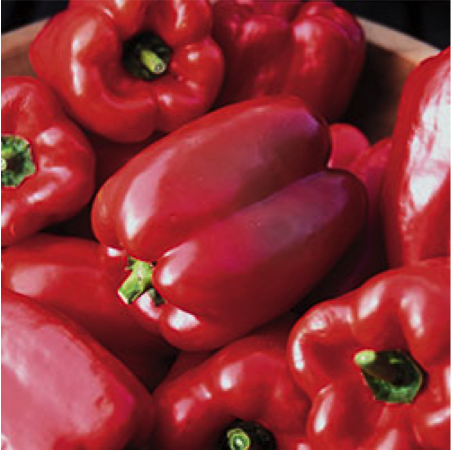 Blocky 4″ bell peppers have thick walls and excellent flavor. Heavy yielding. Can also be eaten green. 90 days from transplant. Sweet. (Capsicum annuum) (aka Choco) Early bell pepper bred by Elwyn Meader and introduced by the University of New Hampshire Agricultural Experiment Station in 1965. 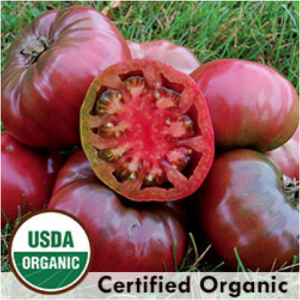 Ripens from green to chocolate on the outside and brick red inside. Thick sweet flesh. Great for gardeners in short-season areas. 60-85 days from transplant. SWEET. These are beautiful and very sweet when ripe. Wonderful for roasted peppers and in salsa.